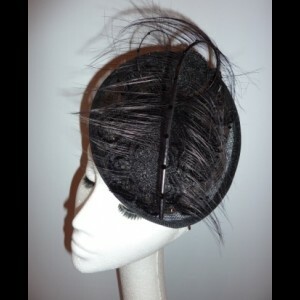 A small black sinamay headpiece with lace and a curled burnt ostrich feather. 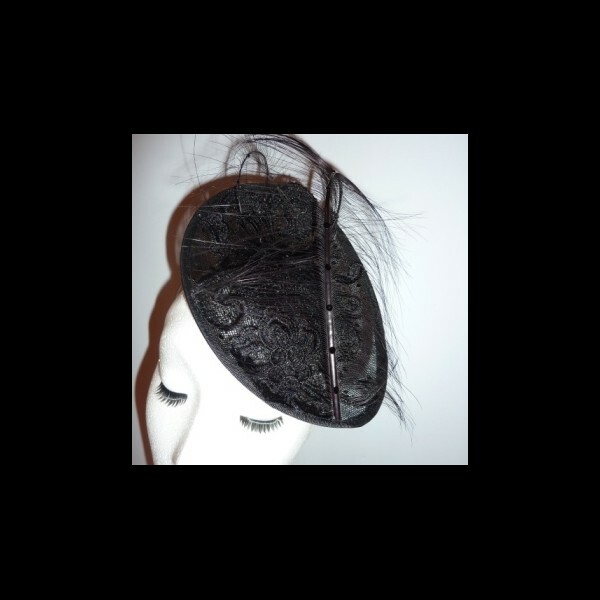 Gorgeous & Glorious Mini Black Saucer Headpiece with Lace. A smaller headpiece, oval in shape, measuring approximately 21cm by 16cm. 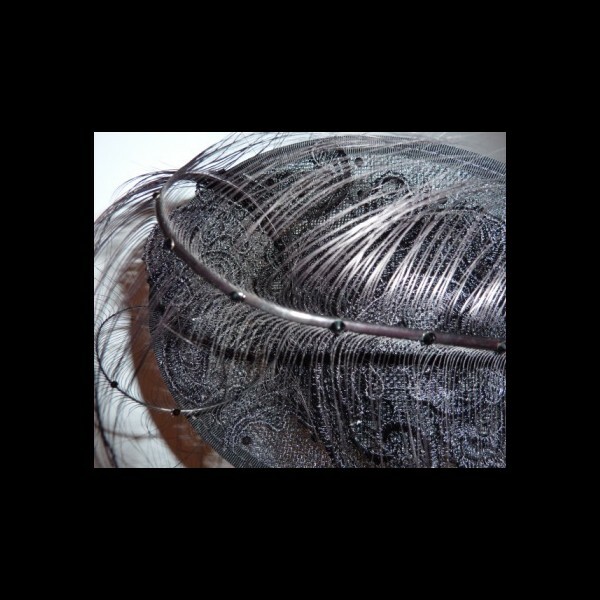 Worn towards the front of the head and mounted on a slim metal hairband this sinamay headpiece is covered on the upper side with black lace. 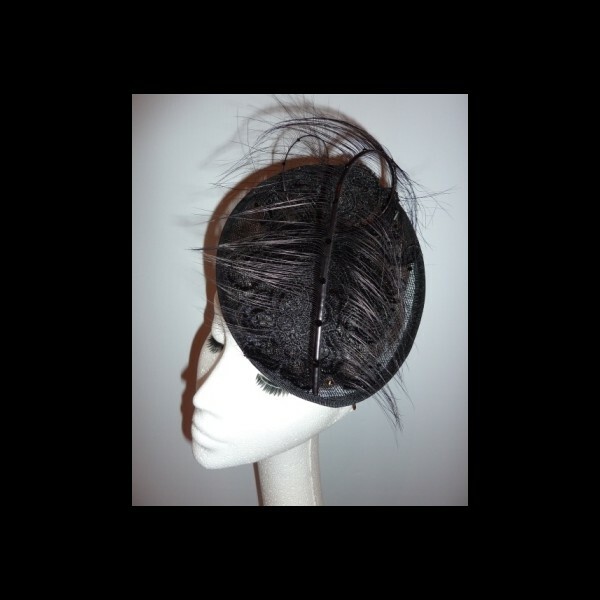 The finishing flourish is a black burnt ostrich feather , which has been hand curled and dotted with Jet Black Swarovski crystals.